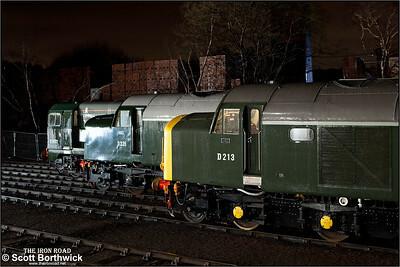 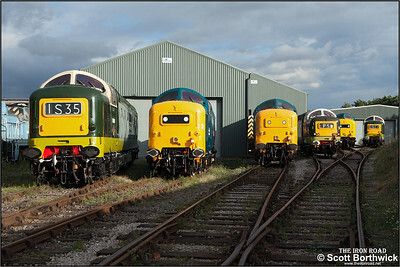 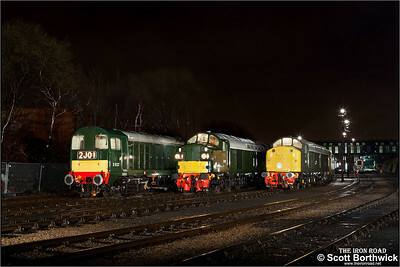 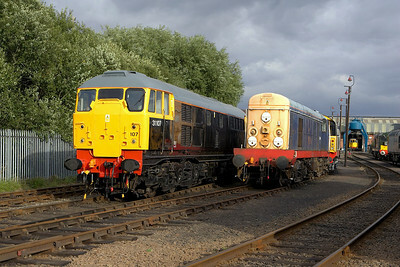 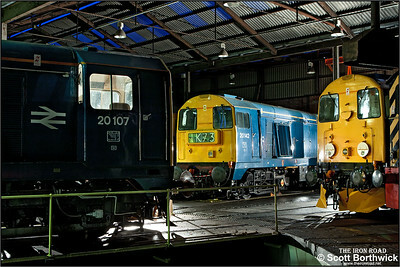 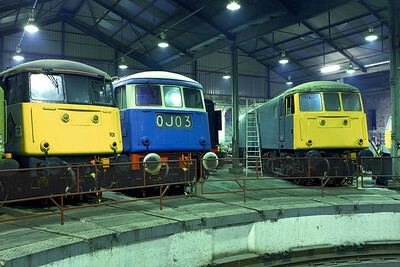 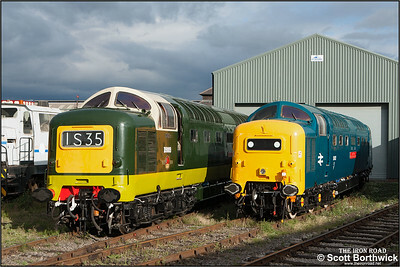 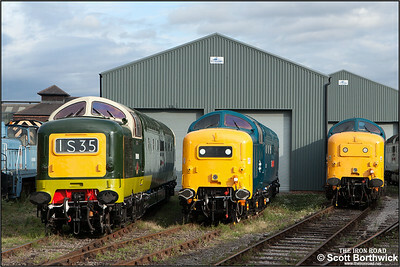 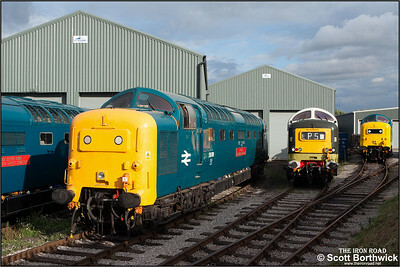 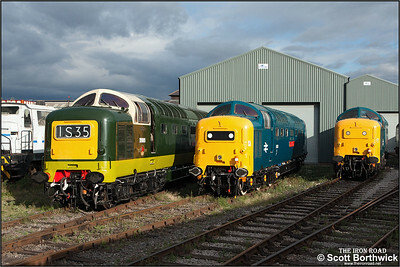 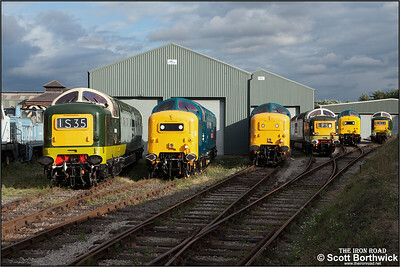 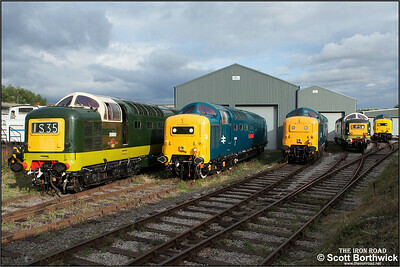 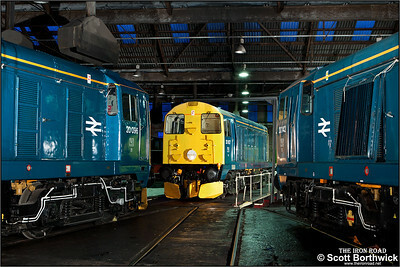 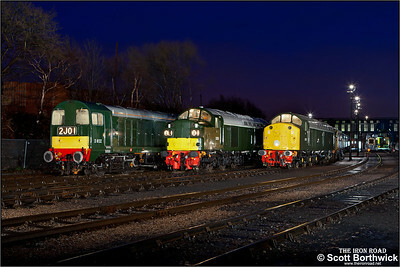 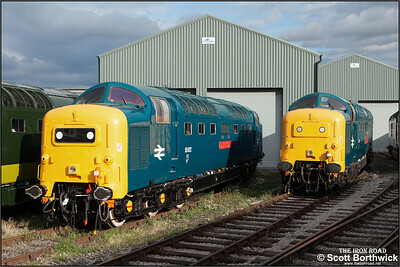 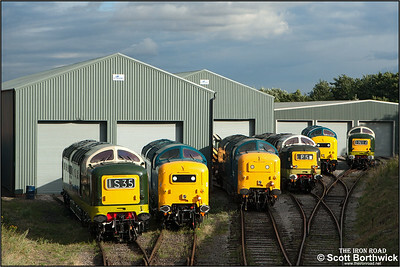 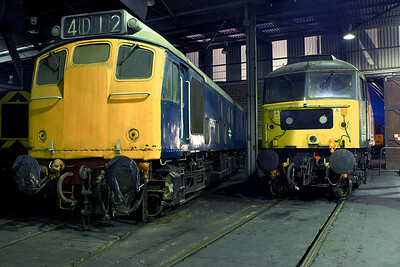 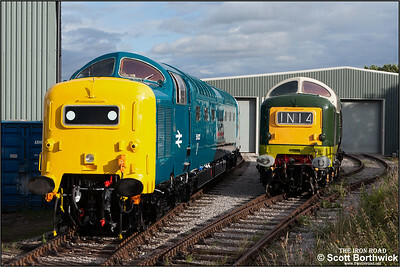 (Left-right) 85101, E3035 (83012) & 81002 rest inside the roundhouse at Barrow Hill TMD on 12/02/2206. 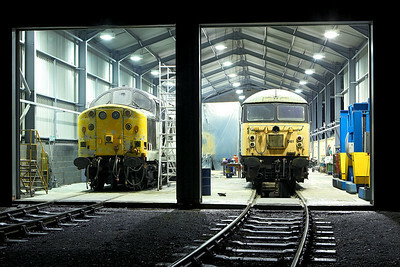 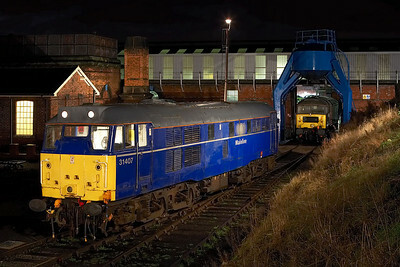 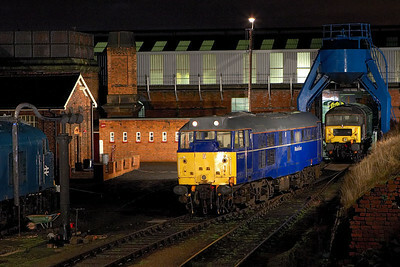 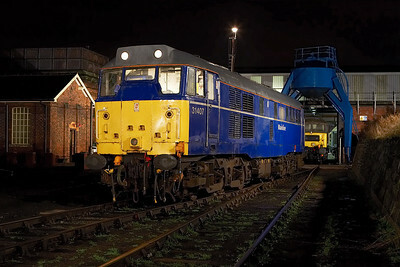 37603 & 56061 undergo repair in the FM Rail shed at Barrow Hill TMD on 12/02/2006. 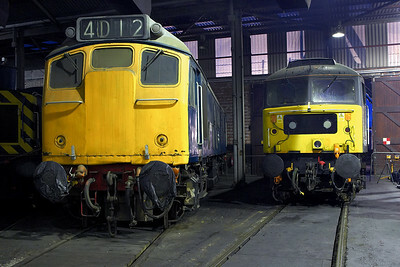 40145 is just visible behind the polythene sheeting undergoing a repaint. 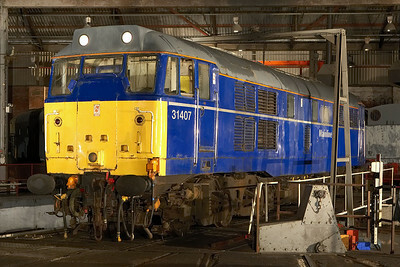 31407 stands on the turntable inside the roundhouse at Barrow Hill TMD on 12/02/2006.